"We Buy Houses Miami" - How do they (really) make money? If you’re as curious as a person as I am then you want to know how in the world do these people actually make money that buy homes. What is the truth behind these Florida Investors? Keep Reading…you don’t want to miss this one. In June of 2018 there was a total of 5057 real estate deals done in Miami Dade county. Guess what… out of those, 2,769 of them were CASH transactions. Guess what… All these types of buyers that we were mentioning here pay cash. That means that more than half of these transactions are happening by these 4 buyer types. So these are the people that you see on TV that buy homes with cockroaches and roofs falling apart. Then they have a wife who is a designer who designs the home and makes it look like a palace from another world. Okay come on guys you know it’s not really like that. It’s more like buying a property that is not up to date, putting in the time and finding people who will fix it, repairing everything that is needed, and making it look like a property from 2018. They buy a home that needs repairs for a discounted price. Then they fix it up to make it look like a newer home and sell it for more. So I personally have done over 30 of these and although it might sound easy it is not at all what you see on TV. however it can be really fun and rewarding when you see an older home that hasn’t been touched in a while and you make it look beautiful for a new family. Keep in mind it does take about six months to buy fix and sell on average. so although the average profit for a Fix and Flip in South Florida is about $30,000 net, it takes 6 months to get there. If not longer…. Now I’m going to share with you a couple of tips when dealing with professional rehabbers. I have been on the other side of this and purchased many homes to do renovations, so let’s pull the curtain for you real quick. TIP #1: Tell them that you are aware that the property needs work but that you want a fair price. TIP #2: Ask them to show you what a renovated house looks like in the area. TIP #3: (Ninja): Ask them about some of the work they would do and why… this one is good because it weeds out all the people who don’t know what they’re talking about. If Coach Spoelstra can not explain to Dwayne Wade what dribbling is… Pretty sure he wouldn’t have a job. DEALING WITH A PROFESSIONAL WHOLESALER… WHAT IN THE WORLD? A professional wholesaler is a buyer/investor that is part of a group or network of Real Estate Investors. these investors are either professional rehabbers or professional rental investors which we will talk about later on. And what this wholesaler does is that he goes and finds properties for this group of investors and in return the investors will pay the wholesaler a fee. Fun fact, wholesaling was actually done and founded by accident in the early 1900s when some of the richest families were acquiring the land and selling it for more before they paid for it. This is now how I do all my deals. I do speak about it in great detail and I enjoy it because, when done correctly, the seller wins and the investor wins. If you’re in the Miami area, we go over professional wholesaling and rehabbing. How the heck do I make money in Real Estate?! As mentioned earlier, the wholesalers job is to do all the work in finding the property and negotiating a fair deal with the seller. Once the property is acquired, an investor will buy it from his Network and pay a fee for the wholesaler’s efforts. Here is a Video showing how we did one in Lakeworth Florida! I actually go in depth in an article I wrote and give tons of tips and tricks and things to look out for when working with wholesalers. 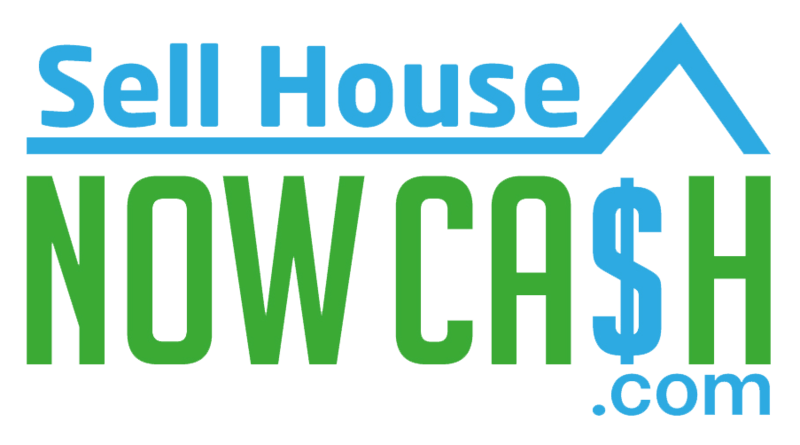 Cash flow is a term used in real estate that means cash coming in every month from homes that you own and rent out. The rental investor is also known as a cash flow investor. And we all know cash is King… Cash Flow would be like Oprah. What these investors stand for is buying homes, renovating them if needed, and renting them out to a family for typically a longer-term. The actual intention for Real Estate and how some of the old-timers think of this is buying and renting. The intent in investing in homes and large commercial properties was to rent it to families. I’m a huge advocate of rental properties so much so that I’m falling in love with quite a few. I’ve purchased them and have about 10 rental properties in the Miami Gardens Opa-locka area. I previously managed over 40 houses for Brazilian clients all the way from Pompano to Liberty City. Buying and renting properties is an amazing way to be able to get into real estate and build a nice future for yourself and your family. How do they (really) make money? The main thing that I look for when buying one of these is after putting the money in to purchase the house, pay taxes, insurance, and maintenance, that it can still make money every month. Here’s an example of an analysis that we did on a house so you can see the kind of numbers that the investors are looking for. My bad, my bad. I know I got a little dorky on you here, but I really want you to understand what’s going on. Everytime I say that word it reminds me of Star Wars and I picture one of these characters behind my home.. So obviously that is not who is going to show up to your house to purchase it let’s talk really quick about what a robo buyer is. In the simplest term a robo buyer is a website platform that you enter your home address and information. The computer will then spit out an offer based on algorithms (Computer calculations) to make you an offer on your home. It’s basically allowing a computer to determine the value of your home and, once agreed upon, a human will make sure that the computer is correct. Just saying, that makes me want to run as fast as I can. This is the bar that you most have to beware of because it is the one that will waste your time and not accomplish anything. HOW CAN I KNOW IF THE PERSON I AM DEALING WITH IS AN AMATEUR? First things first, you must read the article that I wrote regarding what questions to ask the real estate investor when they come look at your home. Selling your home has a lot of moving parts. If you work with an amateur they will not be able to service you and you end up wasting a ton of time. Some of the real investors will buy other houses instead of yours and you will be in a tighter time crunch situation. Verify that they have a company, make sure they answer your phone calls and your text messages, and ask them what properties they have purchased in the past. Those are a few tips that should help you get by and not allow you to be fooled by this type of fire. When selling your home to a real estate investor, there are many different ways that they earn money. In this article we have spoken about what those ways are and how exactly step by step they make a profit. This will give you the upper hand once you meet with them and decide to sell and negotiate. I threw in a few tricks, so I hope you guys are paying attention. They say knowledge is power.. The more you learn the more you earn.. If you are considering selling your home, read this over and over so that you can be as prepared as possible. See ya people and use this for good not evil!